Euro continues falling; the pair has broken level of 1.2400 downwards. 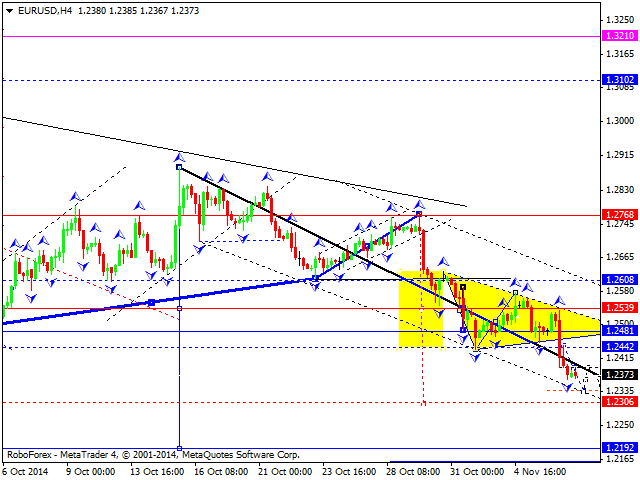 An alternative scenario implies that the downtrend may continue and reach level of 1.2310. We think, today the price may return to level of 1.2400 to test it from below and then continue moving downwards with the target at level of 1.2340. 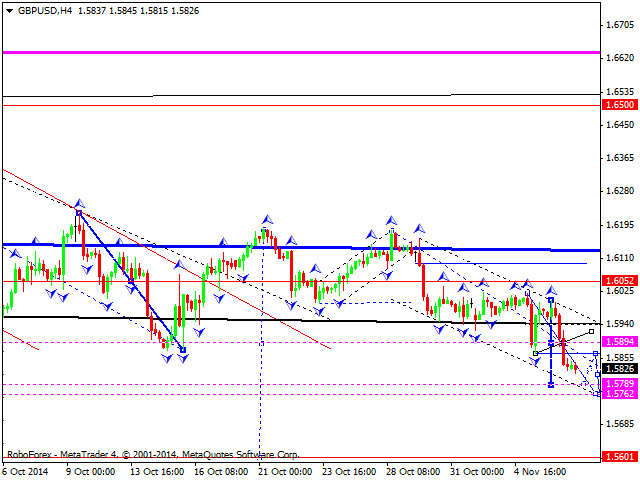 Pound has reached a new low and is forming a descending structure with the target at level of 1.5789. Later, in our opinion, the market may return to level of 1.5894 to test it from below and then continue falling towards level of 1.5600. Franc has broken its consolidation triangle pattern upwards. An alternative scenario suggests that the price may continue growing to reach level of 0.9800. 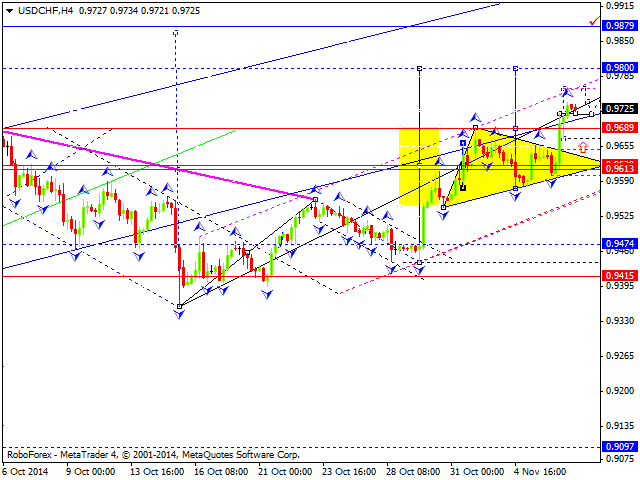 We think, today the price may reach level of 0.9765 and then return to level of 0.9715. Later, in our opinion, the market may continue growing to reach the local target. So far, Yen hasn’t been able to form an impulse to continue falling and right now is attempting to reach a new high. 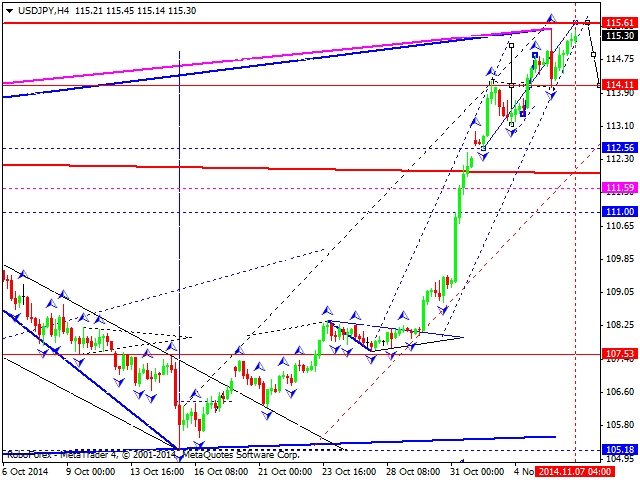 We think, today the price may reach level of 115.60 and then fall to return to level of 114.15. Australian Dollar has formed a consolidation channel and broken it downwards. Such scenario implies that the pair may continue falling. 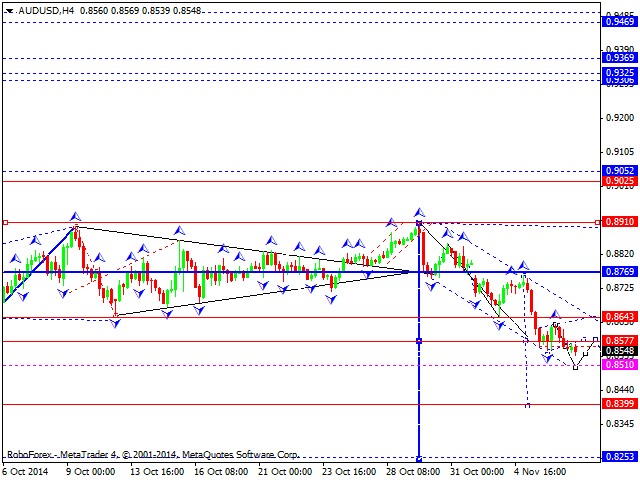 We think, today the price may reach level of 0.8577 to test it from below and then fall towards level of 0.8400. Ruble is still moving inside an ascending structure. We think, today the price may reach level of 48.00. Later, in our opinion, the market may form a correction towards level of 46.00. 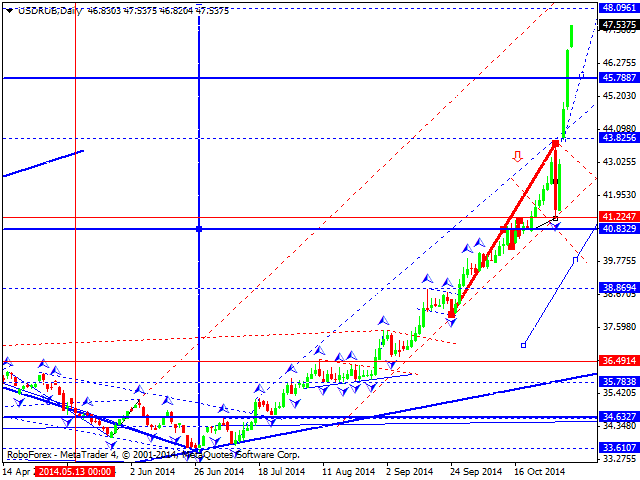 The next upside target is at level of 49.75. 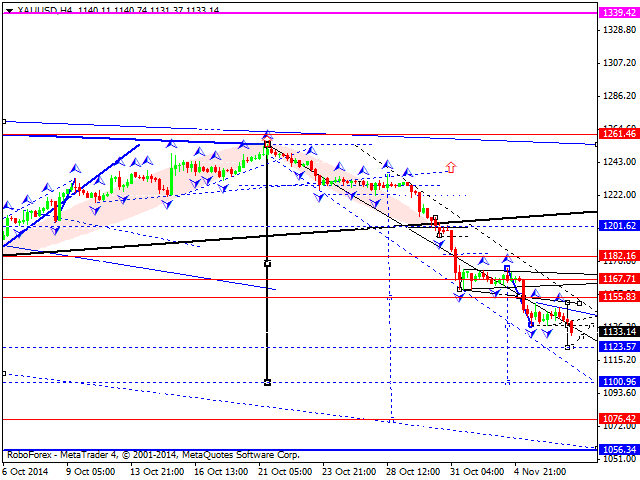 Gold has broken its consolidation range downwards. We think, today the price may continue falling to reach the target at level of 1123.57. Later, in our opinion, the market may consolidate and then continue moving inside the downtrend with the next downside target at level of 1100.96.